Back in August, my friend Chin and I purchased a Refinery29 Reserve deal for CAN CAN Cleanse, a 3-day San Francisco juice cleanse. Ever since I saw the Gilt sale for BluePrintCleanse sell out within minutes (3-day cleanses were running at $180+! 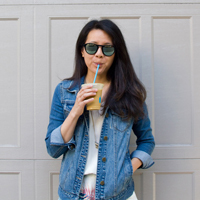 ), I’d been curious about the hype surrounding juice cleanses. If you’re in a similar situation, I hope this CAN CAN Cleanse Review can help you make your decision! 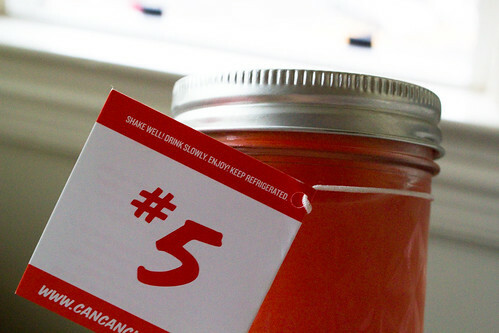 The juices come in cute jars with individual labels that display ingredient information, special instructions (mostly for teas, which taste better when hot), and numbers so you know what order to consume them in. 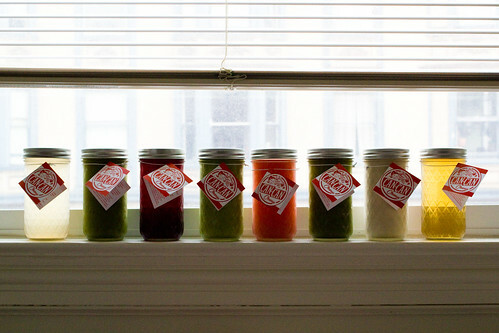 Each day consists of 8 juices, which can vary from season to season. For the summer cleanse, we had lemon-lime cayenne, green juice (x2), green pea soup, vanilla almond milk, watermelon apple lime, hibiscus tea and lavender tea. Everything was really tasty, including the green juices – and this is coming from someone who hates parsley & celery with a passion. I didn’t get as hungry as I thought I would during these three days. Due to the amount of liquid consumed through these juices (and lots of water, too), my stomach was pretty full for most of the day. On the CAN CAN site, there’s a list of permissible eats, in case you’re really starving or feel lightheaded. The first day was the easiest, since it was a novel process. I had a few stomach cramps, most likely because my stomach isn’t used to consuming healthy and nutritious greens. (MSG, caffeine, greasy foods? Stomach = a-okay. Nutritious raw veggies? Stomach = What are you doing to me?!). My body seemed to accept this reality on the second day, and the third day was a breeze. Over the course of three days, I did eat one apple and a few almonds (from the permissible eats list), which to be honest, I actually could have gone without. Would I do it again? Definitely! I felt lighter and energized on the last day, and the cleanse gave me time to reflect on my eating habits and revise for the future. Teresa, the owner/founder, was super sweet and helpful in answering all of our questions pre-cleanse and during the cleanse. She also sent out cheery and supportive emails on each day of the cleanse, which was a nice touch. Doing the cleanse with a friend was great since we could support each other, especially during times of temptation like Taco Tuesday and Beer + Breadsticks Thursday.